a team of over 350 employees across San Francisco, Pittsburgh and Los Angeles. I drove down to Stanford to see Susan speak on May 27 as part of the Stanford DFJ Entrepreneurial Thought Leaders Series. She shared the ModCloth story and offered a range of thoughtful and honest advice for young entrepreneurs. ModCloth began when Susan moved from Florida to Pittsburgh for college and tried to find clothes for the winter in the local thrift shops. Susan, who had developed an early passion for fashion, was amazed by the great vintage pieces she found. Unable to resist good deals, she would even buy pieces that were the wrong size for her. Eric (who is Susan’s Co-Founder at ModCloth) had started his own web hosting business and was experienced at building eCommerce websites. He suggested she start a website to sell her excess vintage pieces. Susan wanted control over the shopping experience and an ability to build a brand, so eBay wasn’t a good fit, and websites like Etsy didn’t exist at the time. Eric helped Susan hack an open source shopping cart called Interchange to set up her own site. She received a digital camera as a graduation present and she taught herself how to use Photoshop. Hence, ModCloth was born in January 2003. Susan and Eric were excited to have their first sale on the very first day. Susan continued running ModCloth part-time while studying for her business degree from Carnegie Mellon. Over time, she realised that in order to scale the business, she would have to move beyond selling one-off vintage pieces. She then began the process of finding wholesale clothing and designers. In the time leading up to her graduation in 2006, Susan started seriously considering ModCloth as a viable career path. Because Susan was part of the first generation of college Facebook users, she also saw the power of building a community and empowering people to be part of the buying process. ModCloth have focused on empowering “her” (their customer) to pick, design, review and enhance products. This strategy has paid off in establishing a loyal customer base; ModCloth has 1.2 million Facebook followers, 2.2 million followers on Pinterest and 363,000 followers on Instagram. A great example of ModCloth’s community empowerment approach is the Be the Buyer program, inspired by Susan’s experience attending Las Vegas fashion trade shows. She noticed that many of the items she liked were not being picked up by the big buyers, and hence not making it past the sample phase. 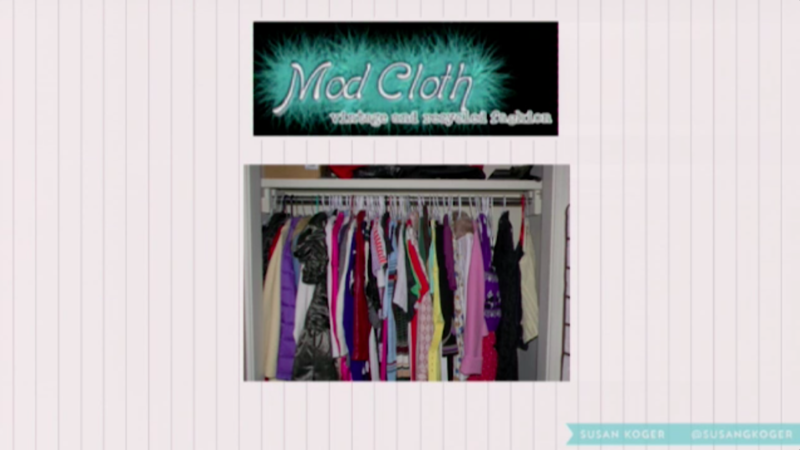 Susan asked the designers if she could take the sample designs back to her ModCloth customers to establish whether there was enough demand for a particular item to be made. This approach worked, and now ModCloth customers can be part of the fashion buying process, by voting for items they’d like to buy on ModCloth. 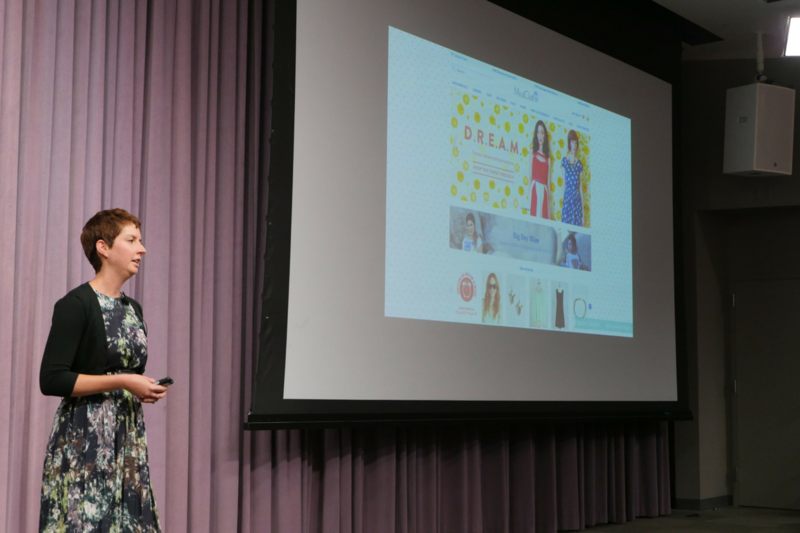 This program has been an important element in ModCloth’s growth. Susan offered up a number of thoughtful and honest entrepreneurial lessons during her presentation at Standford. For example, she emphasised that there are many different ways you can find your own entrepreneurial path. Just because you aren’t a born entrepreneur (Susan says she wasn’t), doesn’t mean you can’t become one. Susan also believes it’s ok to be a rookie, and in some cases it can be a real advantage. The ModCloth Be the Buyer program exists partly because of Susan’s inexperience with trade shows, and her willingness to ask if there was an alternative way to do things. My favourite advice from Susan is that it’s okay to look back and cringe. If you are out there doing something creative, you will get better over time. Part of the process of getting better over time is having to look back and cringe. 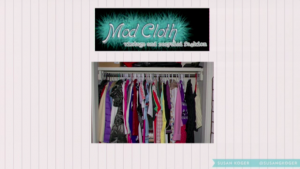 Susan showed a picture of the first ModCloth website and logo, and for sure it was cringeworthy. She had just learned Photoshop. But at the time she was really proud of it, she’d put a lot of thought into it and tried to make it reflect her brand. Finally, Susan advocates putting emotion over everything else. She believes that the purpose of what you do as an entrepreneur is at the core of what you’re doing. ModCloth had a difficult year last year, and had to lay off a number of staff. Susan said she spent much of the year feeling like a failure. But it was her sense of ModCloth’s purpose—encouraging customers to be the best version of themselves—that brought her and the team through this difficult time. While I’ve tried to summarise the main points of Susan’s talk, I highly recommend checking out the whole presentation. 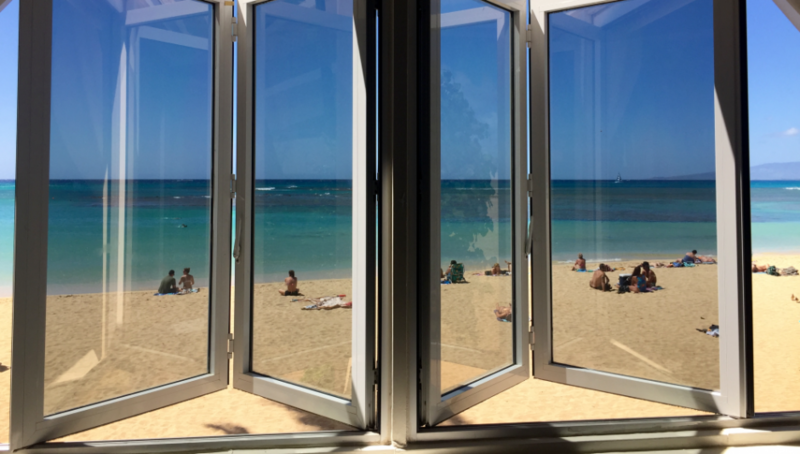 For anyone who is running—or thinking about running—an eCommerce business, it’s an honest and inspiring story.